It has achieved long-term revenue growth through sustained international expansion – particularly in Asia in recent years – but Bird & Bird has made what it will consider a significant step forward for its ambitions in the region – a non-exclusive co-operation agreement with leading Chinese firm AllBright Law Offices. The deal, which will see both firms work together on a preferred supplier arrangement, will enable Bird & Bird to build deeper relationships with Chinese clients. As part of the agreement, Allbright Law Offices will gain a base in Europe, with the firm opening its own operation within Bird & Bird’s Fetter Lane headquarters, staffed in the medium term by a permanent representative. Speaking to Legal Business, Bird & Bird chief executive David Kerr said the primary objective from AllBright’s perspective is to look after clients as they internationalise. According to Bird & Bird, the move to establish a co-operation agreement with AllBright is the latest chapter in the firm’s Asia-Pacific strategy, which has seen the firm launch in five cities including Hong Kong, Beijing, Shanghai and more recently Sydney. The firm also has co-operation agreements in place with firms in Malaysia, South Korea and Indonesia. AllBright has 17 offices in mainland Chinese cities, and has more than 1,800 lawyers globally. It is regarded as solid player in the PRC in most commercial practice areas, particularly in IP, a core focus for Bird & Bird. However, both parties confirmed the agreement does not affect Bird & Bird’s existing co-op with IP specialist Lawjay Partners in China, nor does it affect AllBright’s existing arrangement with Stevenson Wong in Hong Kong. Earlier this year Bird & Bird recorded its 26th year of turnover growth, with global revenues for 2016/17 up 5% to €361m from €343.8m, translating to an 11% increase in sterling from £273.8m to £303.2m. In Asia Pacific, the firm has experienced an 18% increase in turnover over the last 18 months. The technology-focused firm attributed the performance to what it described as double-digit growth in its key practice areas of corporate, IP and employment. Top-50 insurance specialist Kennedys has made an ambitious bid to further increase its global footprint, today (2 October) announcing the opening of new offices in Paris and Bangkok. With the launches in France and Thailand, Kennedys has brought its tally of new international offices opened this year to nine. The Paris outpost is led by a four-partner team hired from French litigation boutique BOPS Avocats and focuses on insurance disputes. Co-founder and the former senior partner of BOPS Avocats, Christian Bouckaert, is heading the new Paris office, alongside partners Alexis Valençon, Aurélia Cadain and Nicolas Bouckaert. Kennedys and BOPS Avocats have a shared history, jointly acting on a number of cross-border cases over the years and also possess a significant overlap in important clients. Outside of Europe, Kennedys has tapped into a major south-east Asian market through its Thailand launch, building on its pre-established presence in Singapore and Hong Kong. The firm’s new two-partner office in Bangkok also has an insurance litigation element, with the outpost being led by Suraphon Rittipongchusit, a former partner of DLA Piper’s Bangkok insurance and litigation department. Alongside Rittipongchusit is fellow partner Supreedee Nimitkul, who is a corporate and commercial specialist with over 20 years’ experience. Completing the team is senior associate Tassanu Chutikanon and Ian Johnston, a foreign qualified lawyer who relocates from Kennedy’s Singapore office. Despite the Paris office being its first office opening in mainland Europe this year, Kennedys has made serious strides in expanding its global operations throughout 2017. The firm has opened in the US through its merger with insurance firm Carroll McNulty & Kull and also added offices in Australia, Mexico and formed a formal association in Italy. Meanwhile, Bird & Bird has also revealed plans today to open a representative office in the US. The new hub, based in San Francisco, will advise clients on international disputes, intellectual property and data privacy issues. International law firms have returned from the summer break in acquisition mode, with Berwin Leighton Paisner, Bird & Bird, Taylor Wessing, Reed Smith and Pinsent Masons all hiring in London and Asia, while Sidley, Dentons and Osborne Clarke are expanding their continental European footprint. Berwin Leighton Paisner (BLP) has this morning (11 September) announced the appointment of three new international disputes partners to further strengthen its litigation and corporate risk (LCR) practice. George Burn joins BLP from Vinson & Elkins as head of international arbitration later this month, while Gavin Margetson, formerly of Herbert Smith Freehills, has been hired to lead the firm’s regional arbitration hub in Singapore. 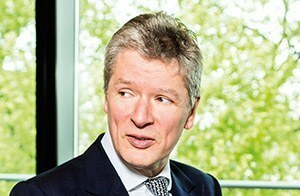 Based in London, Richard Chalk is an international disputes and investigations partner, who was previously at Freshfields Bruckhaus Deringer in London and Hong Kong. BLP global head of LCR Nathan Willmott said these appointments are a direct result of a recent LCR strategy review. ‘The strategy review was an important milestone for us as a department. With so many of the team involved, it’s meant our future really is a collective effort. These hires all demonstrate our intent to get on with the job and start delivering on a global scale’. Bird & Bird has added to its equity capital market capabilities with the hire of Clive Hopewell and Adam Carling from Charles Russell Speechlys (CRS). Carling has experience in Africa and has advised on mining deals on the continent. Neil Blundell, head of Bird & Bird’s London corporate group, said the hires would ‘further increase our reputation in the mining and oil and gas sectors’. Meanwhile, Taylor Wessing turned to Paul Hastings to bring Mark Rajbenbach into its real estate team. Keith Barnett, head of real estate at the firm – which now has more than 60 lawyers in its core London real estate group and more than 100 working on real estate across the London base – said the addition of Rajbenbach was ‘very exciting for our team, particularly in corporate real estate and the hotels area’. Rajbenbach was at SJ Berwin & Co before joining Paul Hastings, and his clients have included Invesco Real Estate, Starwood Capital, Evans Randall, Hilton, London & Regional, Schroders and RRAM Energy. Elsewhere, Reed Smith has hired Leith Moghli as a partner in its global private equity and investment funds practice in London. Moghli left Kirkland & Ellis in April, where he had been a salaried partner since October 2014 in the funds practice. Pinsent Masons has appointed Chris Richardson to lead its new forensic accounting service (FAS). He joins the firm after 16 years in the fraud investigations team at EY. 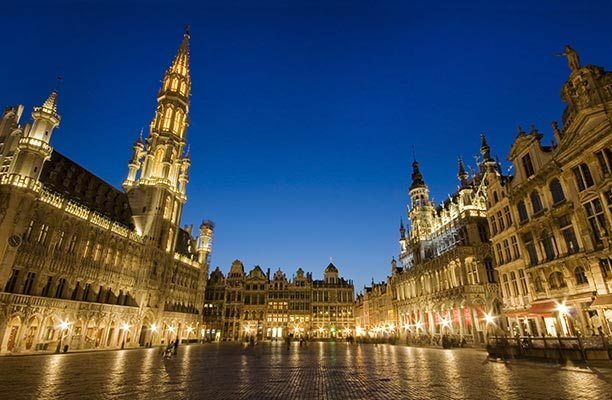 In Brussels, Sidley Austin has hired Wim Nauwelaerts from Hunton & Williams. Nauwelaerts advises on EU and international data protection and privacy compliance, including preparation for the new General Data Protection Regulation (GDPR). 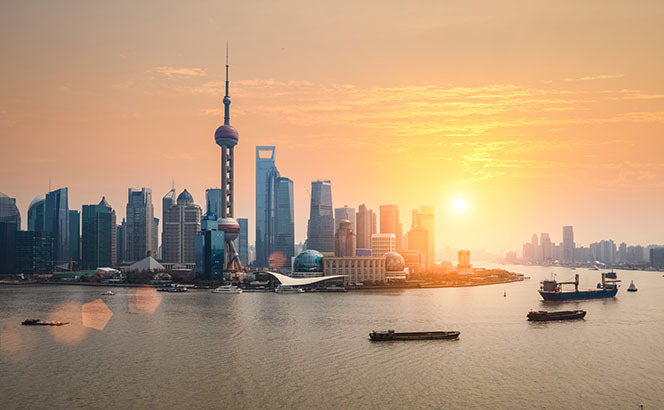 Also in Europe, Dentons strengthened its M&A and capital markets practices with the addition of Shaohui Zhang, who joins as head of the China desk in Luxembourg from Allen & Overy, and Antonella Brambilla in the corporate and M&A practice in Milan from local firm Chiomenti. Finally, Osborne Clarke has announced the opening of a new office in Stockholm, led by Fredrik von Baumgarten and Henrik Bergström. Von Baumgarten joins from his own firm Baumgarten Byström Rooth & Partners and was previously a partner at Nordic firms Hannes Snellman and Vinge, while Bergström was previously at Bird & Bird. The Sweden office means the firm now has 25 international bases in Europe and Asia. Bird & Bird‘s profit per equity partner (PEP) has risen for a second consecutive year, leaping 11% to £503,000, in line with the firm’s revenue growth, following a double-digit rise in corporate, intellectual property and employment work. The technology and intellectual property-focused City firm’s net income rose to £52.8m over the year from £45.4m the previous year. Since returning to growth in 2015/16, the firm’s PEP has increased 10.9% from £448,000. The growth coninuted even after the firm invested around £15m (€17m) on its new 12 Fetter Lane headquarters. Bird & Bird’s top equity partner earned £905,000 this year. In contrast, however, PEP grew by only 1% in 2015/16, from £448k to £454k. Turnover was then £273.8m, up 6% from 2014/15. Reported revenue for 2016/17 was £303.2m, up 11% from last year’s £273.8m. On a five-year view, Bird & Bird’s profitability this year remained at 2.7% below its 2011/12 levels, five years ago, when PEP stood at £517,000. Turnover, meanwhile, increased to £303.2m over the same five year period. Over the year, the firm advised Nokia on its patent dispute with Apple, which settled in May, and Capgemini’s divestment of its IBX Business Network to Tradeshift, which created the world’s largest business commerce platform. It also acted on ARM’s £10m investment in Blu Wireless Technology to help it accelerate the rollout of 5G networks. The firm also completed 26 lateral hires in the financial year and promoted 16 lawyers to partnership, bringing the total number of partners to 291 across its 28 offices in Europe, Middle East and Asia Pacific. ‘We have a very clear vision and a very clear mission. Partners seek us out and want to join us specifically for our focus on technology and our strategy. That makes it much easier for them to integrate: it is not just partners wanting to change firm, they know our strategy, they know what firm they are joining,’ Kerr said. Lawyer numbers rose slightly from 1,084 to 1,141. On the regulatory side, Bird & Bird also advised the European Commission and UK government on changes to data protection regulation, the UK government on the investigatory powers bill, and the European Commission on the effectiveness of EU rules on state aid for research, development and innovation. The firm said this demonstrated it was helping ‘set the legislative agenda in the areas where we operate’. Law firms are strengthening their European practices, with Bird & Bird, PwC and Farrer & Co all hiring in London, Kirkland & Ellis in Germany, while a Clifford Chance (CC) partner was appointed to a high-profile panel role. James Bole, promoted to CC’s M&A partner two months ago, has been named as the new secretary of the Takeover Panel, on a two-year secondment from September. Bole is CC’s first Takeover Panel appointment for a decade. 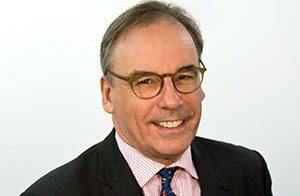 He will replace Addleshaw Goddard partner Simon Woodin the role. Bird & Bird appointed banking and finance partner Samrad Nazer in its London office, as part of its growth plan in acquisition and leveraged finance work. Nazer has now joined from US firm Locke Lord, where he was head of banking and finance, with particular expertise in energy & utilities, fintech and sport. He advised on both lender and borrower side, within corporate finance, corporate lending and structured finance. Nazer said he relished the opportunity to ‘work for a more developed, international platform and have a more focused strategic direction within the banking and finance practice’, adding that he will work to develop both Bird & Bird’s banking and finance practice in London and the firm’s offices across the globe. Tom Ince has joined PwC’s employment law team as a partner from Reed Smith, where he was deputy practice group leader of the global employment law practice and a partner. At PwC he will lead on outsourcing-related employment matters. He said: ‘Businesses are facing unprecedented changes in their workforce, whether that is due to increased regulation across the globe or the changing nature of the workplace.’ Tom Kerr Williams joined the employment team from DLA Piper in April 2016. Private client firm Farrer & Co has hired Rachel Mainwaring-Taylor as a London partner from Hunters Solicitors. She specialises in personal tax and succession planning, both in the UK and internationally, and advises clients on trust structures, wills and cross-border estates. She is experienced in working with international families. Meanwhile in Germany, Kirkland has hired Attila Oldag as Munich corporate partner from Gütt Olk Feldhaus. A partner at the firm since 2013, Oldag advises German and international companies and financial investors on private equity and M&A transactions. The latest addition to the firm’s German corporate practice, after private equity specialist Volkmar Bruckner joined from Weil, Gotshal & Manges in May, three in 2016 and Joerg Kirchner from Latham & Watkins in 2015. Bird & Bird has recorded its 26th year of turnover growth, with global revenues for 2016/17 up 5% in euros to €361m from €343.8m, which translates to a 11% increase in sterling from £273.8m to £303.2m. The firm said that turnover increased ‘by 11% globally in underlying local currencies’ compared to 2015/16. It has yet to announce profit figures but David Kerr (pictured), who has been the firm’s CEO for more than 20 years, told Legal Business he expected to see a ‘very similar increase’ in profitability. The technology-focused firm attributed the performance to what it described as ‘double-digit growth’ in the key practice areas of corporate, IP and employment. It advised Nokia on its patent dispute with Apple, which settled in May, and Capgemini’s divestment of its IBX Business Network to Tradeshift. It also acted on ARM’s investment in Blu Wireless Technology to help it accelerate the rollout of 5G networks. 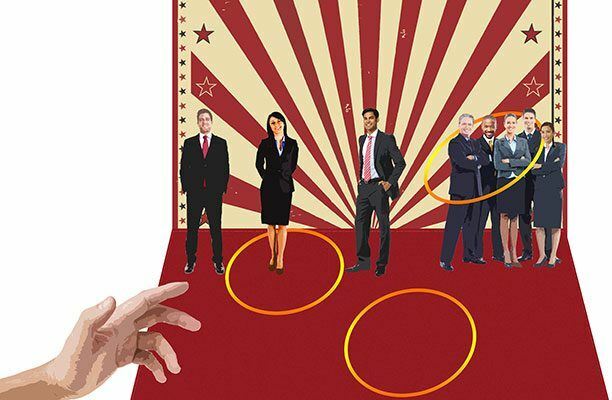 In terms of headcount growth, overall lawyer numbers are up slightly from 1,084 to 1,141, while the firm completed 26 lateral hires and 16 promotions to partnership in the past financial year, bringing the total number of partners to 291 across its 28 offices in Europe, Middle East and Asia Pacific. Bird & Bird also advised the European Commission and UK government on changes to data protection regulation, the UK government on the investigatory powers bill, and the European Commission on the effectiveness of EU rules on state aid for research, development and innovation. Clifford Chance (CC), Hogan Lovells and Bird & Bird have all bolstered their European antitrust practices with key appointments. CC has added to its Paris antitrust team with the hire of David Tayar as a partner, who joins from Wilkie Farr & Gallagher’s Paris team, where he has worked for 11 years. Tayar, who spent six years as an associate at Freshfields, is a specialist in handling merger control investigations on behalf of European and French antitrust agencies. In Brussels, Bird & Bird has hired Freshfields Bruckhaus Deringer competition and EU law specialist Hein Hobbelen as a partner. He will divide his time between the firm’s offices in Brussels and The Hague. Hobbelen is experienced in EU competition law and TMT regulation. Hein Hobbelen spent nearly 14 years at Freshfields. Anne Federle, head of Bird & Bird in Brussels, told Legal Business that Hobbelen will devote 50% of his time to both offices but that this could change over time. Federle stated that Hobbelen’s hire came after a drive to find a ‘Brussels-based competition lawyer with a strong media background’, to complement Bird & Bird’s particular focus on technology and media. Federle confirmed that Hobbelen will bring a number of clients with him to the firm. Hogan Lovells also strengthened its Brussels office with the appointment of partner Salomé Cisnal de Ugarte, from Crowell & Moring. Ugarte’s expertise spans a range of sectors, although she has a particular focus on consumer goods and financial services. Ugarte has experience advising clients during merger transactions and antitrust investigations. Simmons & Simmons and Bird & Bird have both announced their partnership promotion rounds for 2017, with both firms seeing an overall increase in numbers over last year’s figures. Simmons made up 12 associates this year, nearly doubling last year’s number of seven. Effective 1 May 2017, Simmons has promoted in a variety of practice areas. In IP, the firm has made up Andrew Hutchinson, Darren Meale and Mattie de Koning. Meale and Hutchinson will join the firm’s London IP practice while de Koning has been made up in Amsterdam. Lucian Firth and Catherine Weeks have both been promoted to the firm’s financial services department in London, with professional negligence specialist Felix Zimmerman joining Simmons’ commercial litigation team in the City. Completing Simmons’ London line-up is Lawrence Brown and Eucharia Bragg. Bragg, who joined Simmons in 2004, has been made up in capital markets and Brown has been promoted in information, communications and technology. Bird & Bird also increased its promotions, making up 16 this year, compared to last year’s nine. Of the new partners, 25% of them are female. All the promotions are effective from 1 May 2017, except Shing Lo, who was appointed in November last year. Lo was promoted to Bird & Bird’s London corporate practice, and is joined in the City by Zoe Feller, Craig Giles, Ewan Grist, Bryony Hurst and Gabriel Voisin. Hurst has been promoted in dispute resolution, while Voisin has been made up in data protection. Feller is a new tax partner, while Giles has been promoted to Bird & Bird’s London commercial team. Grist has been made up in IP. Bird & Bird‘s turnover increased 5% to €344.5m for the 2015/16 financial year, according to the firm’s recently filed accounts. Alongside the increase in turnover, the firm saw its profits rise by 2% to €96m and net debt tumble by 15% to €39.5m. The accounts partially attribute this downslide to the stronger Euro against Sterling. The positive growth in profit is recorded despite the €17m cost of its new 12 Fetter Lane premises, including office equipment and computers. The highest paid member was paid €920,000, down from €1.02m the year before, the accounts showed. This figure in LLP accounts does not necessarily equate to the highest paid equity partner and can relate to ‘golden handshakes’ to retiring members. For the six months ending 31 October 2016, Bird & Bird saw turnover increase by 4%, but the firm said this is up 11% in underlying currencies. The transfer of Bird & Bird’s London office to its new headquarters took place in September 2016, with an ambition to grow the firm’s headcount in the City by 25%. Late last year Legal Business revealed Kerr received support from less than half the firm’s partnership as almost 30% of partners abstained from voting during the firm’s last leadership election in March.